Our roll off dumpster delivery is ideal for short-term projects, or even single-day use in Orillia. When you need a roll off dumpster at your property for an upcoming project, you may not always have the time or ability to pick up your bin before you need to use it. Fortunately, at Guaranteed Services, we can make your project easier by providing roll off dumpster delivery direct to your property without the hassles of trying to do it yourself. Our roll off dumpster delivery is ideal for short-term projects, or even single-day use in Orillia, Ontario. 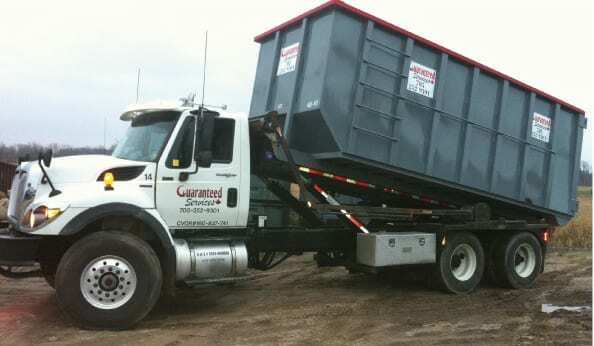 Regardless of what your project may be, you’ll find our team at Guaranteed Services is available to help you choose the container size that will work best for your needs, provide roll off dumpster delivery to your property, and come back to pick it up at the designated time. We’ll even dispose of your waste when we come back to pick up your bin. 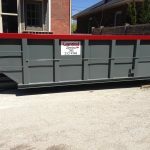 At Guaranteed Services, we believe that roll off dumpster delivery should be a part of your project that you just don’t have to worry about. That’s why we’ve been helping our customers take care of this important detail for over 20 years. Whether you have a landscaping project, are doing home remodeling, or have another project that requires roll off dumpster delivery, we’ll take care of this service so you don’t have to worry about it. We can even provide same-day delivery and pick-up, depending upon the scope and size of your project requirements. Contact us today to discuss your project and which bin size will work best for your needs at your property.